It is with great excitement that we announce the forthcoming launch of our series, Sociology Dissertation Reviews. This new field has been developed and nurtured by DR editors to expand our offerings across an even wider spectrum of Humanities and Social Sciences disciplines. We have already lined up reviews for the current season, with the series set to begin in January 2015. As we prepare for next season, we welcome new requests to review or be reviewed. If interested, please fill out the Review Application Form. We also welcome applications to become the new Field Editor of our Sociology series. We are seeking a dynamic early- to mid-career scholar to help us plan, coordinate, and publish new reviews in this field for the 2015–2016 season. You can learn more about the position and the application process here. 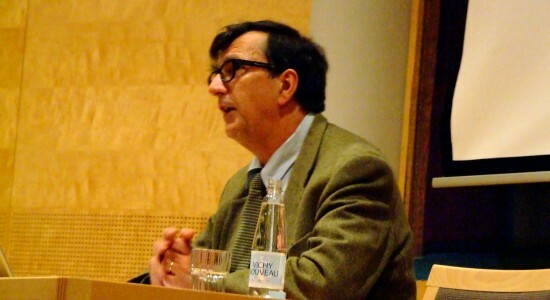 Image: Bruno Latour in Gothenburg. Photograph by Jerzy Kociatkiewicz. Wikimedia.